This is a favorite recipe with children who love the sweet and sour taste of the"gravy." Serve with mashed potatoes. Put all ingredients into a casserole dish and cook for 30 - 40 minutes in a medium oven, 350 degrees. 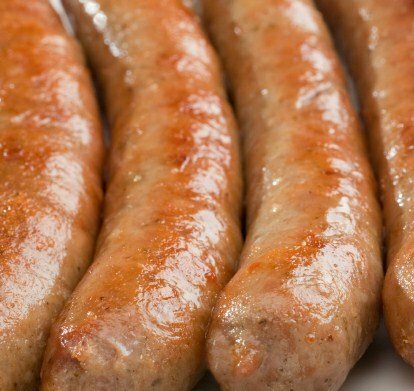 Check to make sure sausages are cooked through or cook a bit longer.